Pact is always looking to the future. The work we do today shapes the world of tomorrow, so we must strive to do all we can to end poverty and marginalization. We believe innovation is critical to amplifying the impact of traditional development programs. At Pact, we define innovation as the intentional application of creativity, human-centered design and local and external knowledge to improve our programs and processes in order to create new value. Our mandate is to create enabling environments that catalyze transformative ideas that accelerate impact. 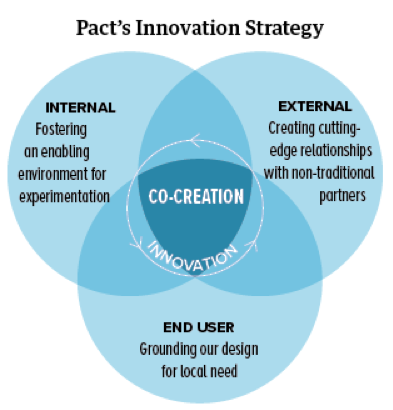 Innovation at Pact uses a three-pronged approach: We build international enabling environments for innovation to bubble from Pact's country offices. We create external relationships with new partners to co-create new solutions. And we use empathetic, participatory techniques such as human-centered design to bring the end-user or customer to co-created solutions in a transformative way. With this approach, we’ve catalyzed creativity throughout our organization, and we’re helping other organizations do the same. We’re using design-thinking, rapid prototyping and adaptive iteration, social scaling, conjunctive research, seed funding, innovation competitions and virtual exchanges. We believe in creativity, local knowledge, focusing on the user experience, addressing root causes with customized solutions, rapidly testing and iterating based on feedback, and celebrating failure as an essential part of the journey to success. 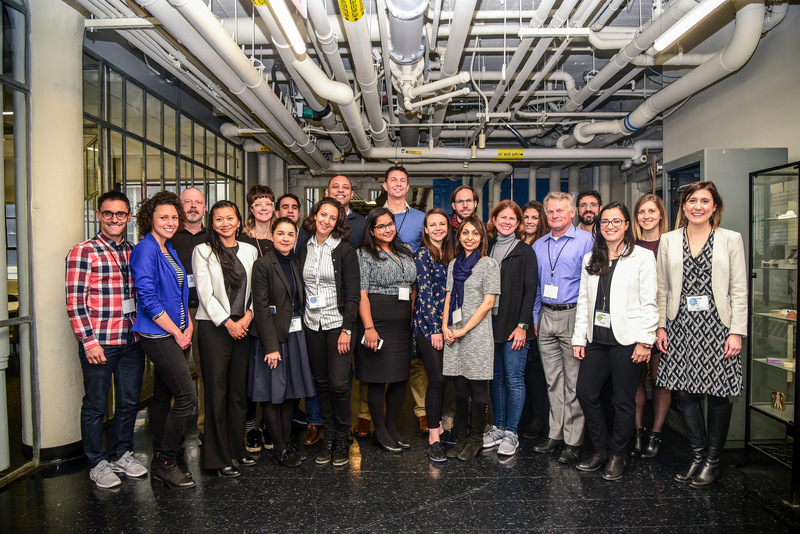 Pact’s innovation practice makes a measurable difference by providing technical assistance to more than 50 business development opportunities per year, training development professionals in innovative approaches, forging new partnerships and tapping into innovation networks. Pact is a member of the Practical Impact Alliance, part of MIT’s D-Lab. The alliance brings together leaders from diverse organizations with aligned missions to learn, collaborate and develop best practices. Through alliance working groups, design summits and conferences, member organizations increase their individual and collective impact to alleviate global poverty.